Passport Renewal Fee: 770 RMB. The renewal fee needs to be sent by “Money Order” from any branch of “Postal Savings Bank of China” and the money order should be addressed to “Consular Section, Embassy of Bangladesh, Beijing-100600, China”. All documents and the receipt of money order need to be sent to “Consular Section, Embassy of Bangladesh, Beijing-100600, China” by courier service along with return address of the MRP applicant in Chinese and a valid mobile number of the MRP applicant. Information Change: In case of a change of photo, the applicant is required to come physically to the Embassy and in case of change of any information in the current passport, the pertinent document is required to justify the desired change. Lost passport: In case of a lost passport the original “Police Report” and a photocopy of the police report are required in addition to the documents mentioned above (serial no. 1 to 6). The original police report will be returned after verification. 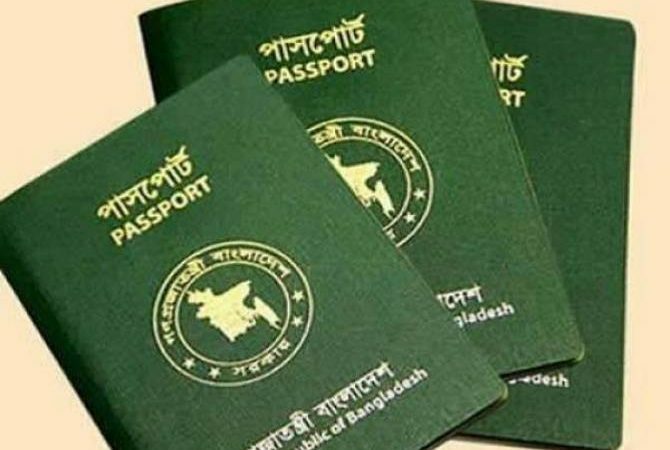 NB: Passports are printed in Dhaka by the Department of Immigration & Passports (DIP). Passports are delivered from the Embassy upon receipt from DIP, Dhaka. The processing time is around 5/6 weeks. Passport Arrival Information/ Status Check: MRP applicants are requested to check the latest status of their passport renewal/ reissue process at the official website of Bangladesh Embassy, Beijing, China (https://www.bdembassybeijing.org/check-your-bangladeshi-passport-status/).